A new study has concluded that cell phones are the main driving distractions, causing 25% of the car crashes registered in the United States. The report was released on Thursday, according to Reuters. The new research was led by the Governors Safety Association (GHSA). The non profit organization has gathered study materials from more than 350 published scientific work , which they have been gathering starting from the year 2000. The conclusions were that the drivers are distracted while driving ( by phones and other things) about 50% of the time they spend behind the wheel. The effects range from minor damage to complete damage and deaths. 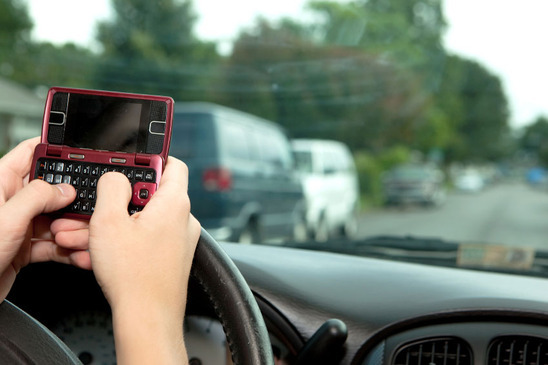 One of the primary distractions of the drivers are the cell phones. Using a cell phone could mean talking on the phone, but also writing messages. The study showed that texting leads to many more crashes that talking on the cell phone. According to the National Highway Traffic Safety Administraion, in 2009 about 16% of the traffic fatalities have been reported as due to distracted driving. This is 6% more than four years earlier, in 2005, when only 10% of the crashes were because of distracted driving. Lynda Tran, the spokesman for NHTSA stated that “any activities that take extend focus away from the primary task of driving are both unsafe and unwise”. Even though the government has taken measures by allowing drivers to use only hands-free cells in the car, there is no evidence that the measure is efficient. GHSA suggested a complete ban of using the phone while driving: no talking on the phone, no hands-free, no texting.